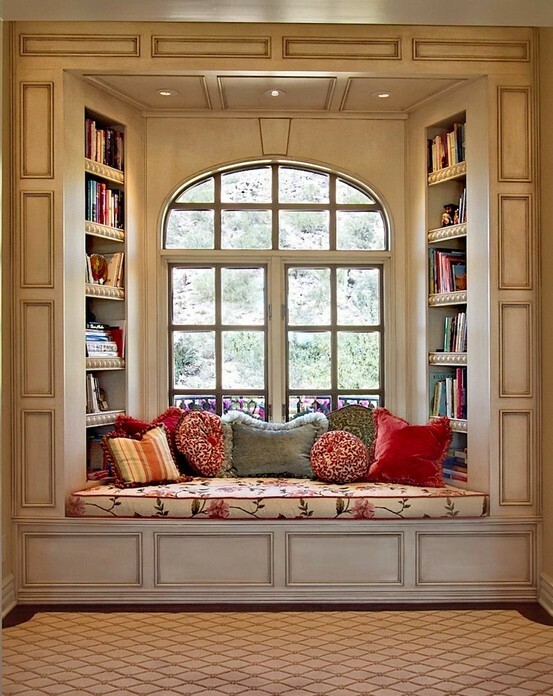 I'd love a library in my home...someday. 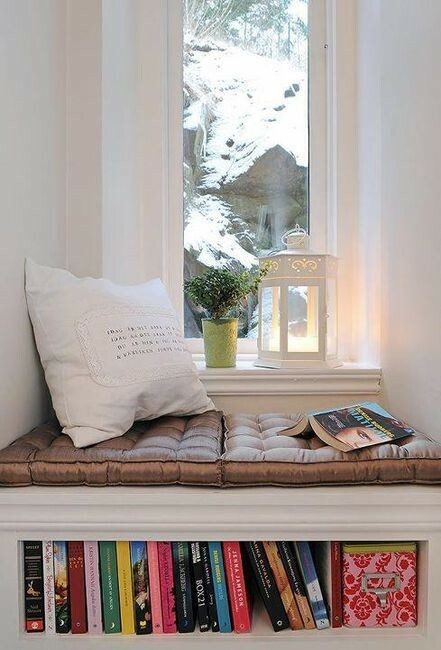 I need some place cozy to kick my feet up and curl up with a good book. 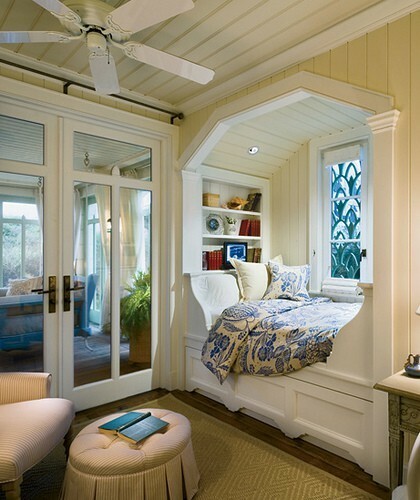 These reading nooks make me lust after a nice corner to call my very own!! I need one of these asap. How about you? It is my dream to have a reading nook!! I keep thinking that I'll turn a closet into one; but we don't have much closet space in our house! 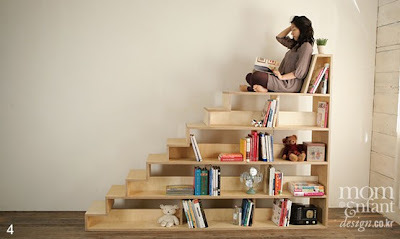 Maybe I need to hunt on Pinterest some more and find something fun to do in an unused corner of my bedroom!